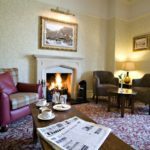 Let your troubles slip away and enjoy a relaxing break at the Borrowdale Hotel… nestled at the foot of Shepherds Crag in the pretty Borrowdale valley, this hotel is steeped in history and has been lovingly updated to ensure tradition and modern comfort continues. 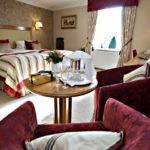 Whether you’re packing walking boots, planning pure relaxation or fancy a bit of both you’ll find your perfect Lakes getaway at our family owned, 4 star countryside hotel. 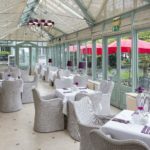 Stay with us throughout October and take advantage of our Wine Flight Dinner Break and enjoy one night dinner, bed & breakfast with a glass of selected wine with each course at dinner. 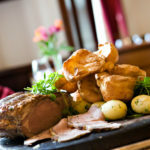 Included in this offer: Overnight accommodation with full Cumbria breakfast, a delicious 3 course table d’hote dinner with a well selected wine flight. 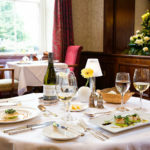 At the Borrowdale Hotel we’re famous for our exceptional silver service, where formal dining is always a pleasure, offering menus that are brimming with local produce. 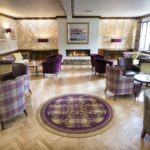 Our lounges are more traditional, with roaring fires that are cosy and inviting – the perfect retreat for coffee before retiring to one of the 40 comfortable bedrooms.